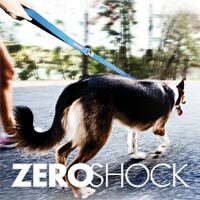 Have you ever worried that your dog collar buckle may fail you? 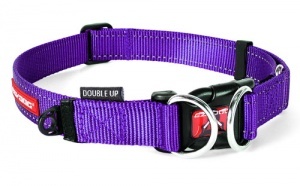 Here is a collar that will put those fears to rest. 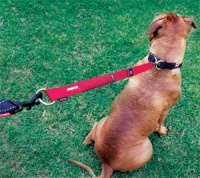 This has got to be the most secure dog collar ever invented. The Double Up by EzyDog offers you and your dog double the strength and double the security. 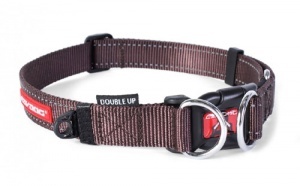 Designed with safety in mind, the Double Up Collar features double stainless steel D-rings to take the load whilst the easy access buckle will have you and your dog on the go in seconds. How clever is that. In a nut shell, what does it mean? 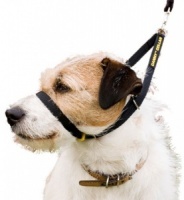 When a lead is attached to this collar, the buckle doesn't take the strain. 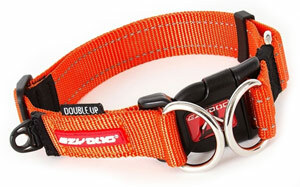 The two secure stainless steel D-rings do all the work, taking the pressure off the buckle and bearing all the force. 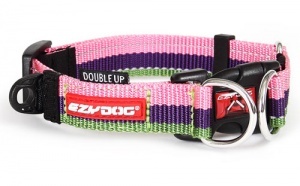 The use of EzyDog's Soft Touch nylon webbing makes this collar not only secure but also comfortable against your dog's neck. 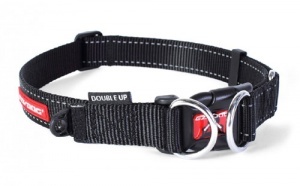 Reflective stitching is also incorporated for low light and night time safety. 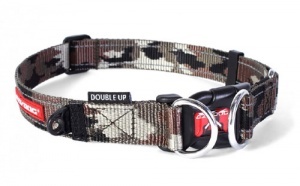 An accessory attachment point is included so you don't have to use the D-rings for your dog's ID tag. Rot proof. 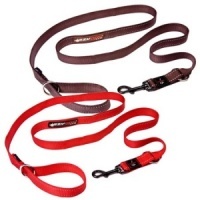 non-rusting and easy to clean, this innovative collar will comfortably handle the strain of the biggest and most boisterous dog or the gentle tug of a quiet walker. 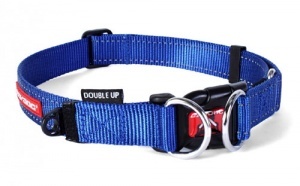 Either way you can both feel secure in the knowledge that this collar won't fail you. 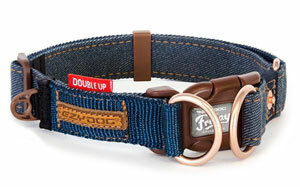 This collar is excellent: well made, attractive, and robust but sufficiently light weight for my dog. 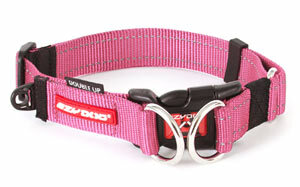 The red is a lovely colour and the collar fits well. I was a bit concerned about buying such an important item over the internet, but I should have started my search here. It would have saved me time trawling the shops! 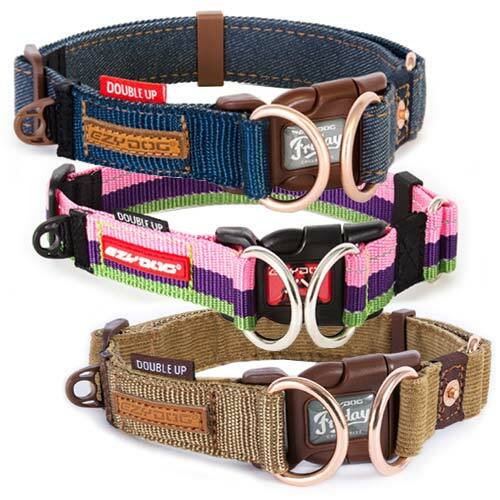 Well designed, well made and the double D shackle for the lead clip ensures the collar remains in place if the snap click fails ( which they do over time). The collars also look the bees knees. Glad I purchased two. I'm really impressed with this collar. The double ring gives that much more security and it's also strong and looks really great. Impressed with the glow in the dark stitching too! Would highly recommend. 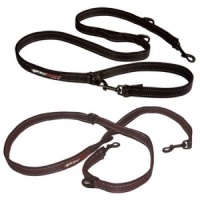 Great collar, nice and strong but comfy to wear. Came quickly.